Ten years ago Lyn lost his sight in one eye, yet he remained determined and motivated and continued to live life to the fullest, while running his landscaping business. Unfortunately in 2016 surgery to correct his vision failed and he was left completely blind. In that moment Lyn's life changed forever. Normal daily tasks suddenly became a challenge and Lyn's loss of his independence, along with his sight understandably brought on depression. In June 2018 Lyn came to Many Tears Equestrian for equine therapy. He spent time looking after the horses, bathing them, grooming them, even picking out feet. The sessions reminded Lyn his self worth, the good things that he brings to the world and he found great joy in attending. Everyone who meets Lyn at the centre is infected with his joy and love for the animals. In a letter that he recently had transcribed to the centre he said "I look forward to my sessions so much that I cannot sleep the night before due to excitement" He also said "...it has been a wonderful experience, it has opened my heart up again to love animals. Just because I cannot see the world, I can still feel and love and give the unwanted animals the love and protection they deserve. This has been a huge, positive resource to myself and others who attend. I am now calmer and more open to converse with others. 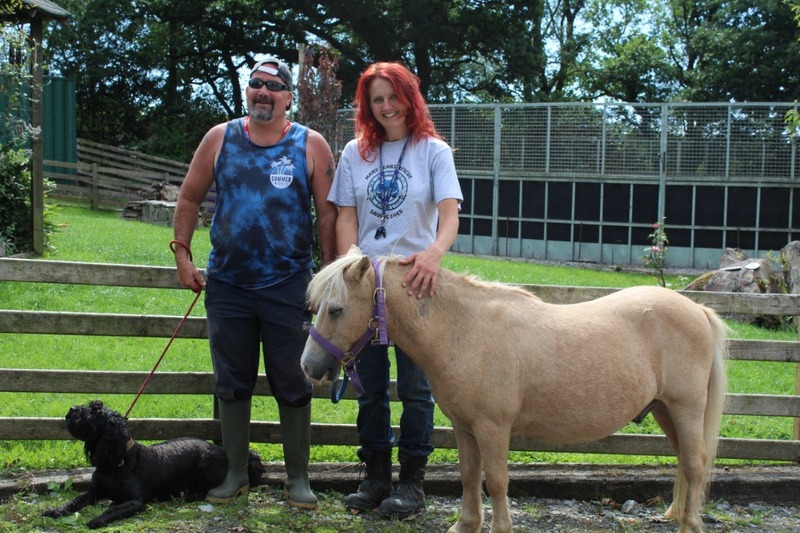 This service, equine therapy, it has not just benefited me but would also give other disabled people the chance to love, to feel wanted and cared for, like I have received." 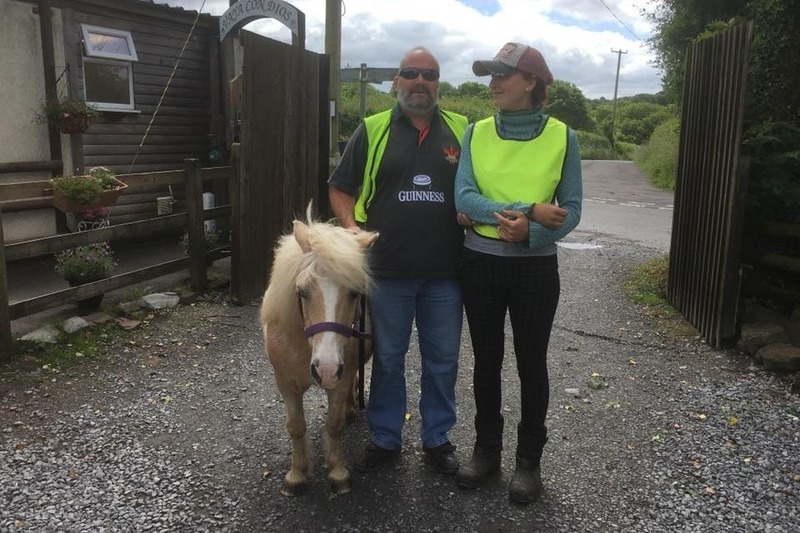 Lyn approached myself (Katy Equine Manager and Lyn's coach) asking if he could somehow raise money for the centre to try and keep the equine program running. We decided on a challenging 5 mile hike, with Rooney, his favourite pony! 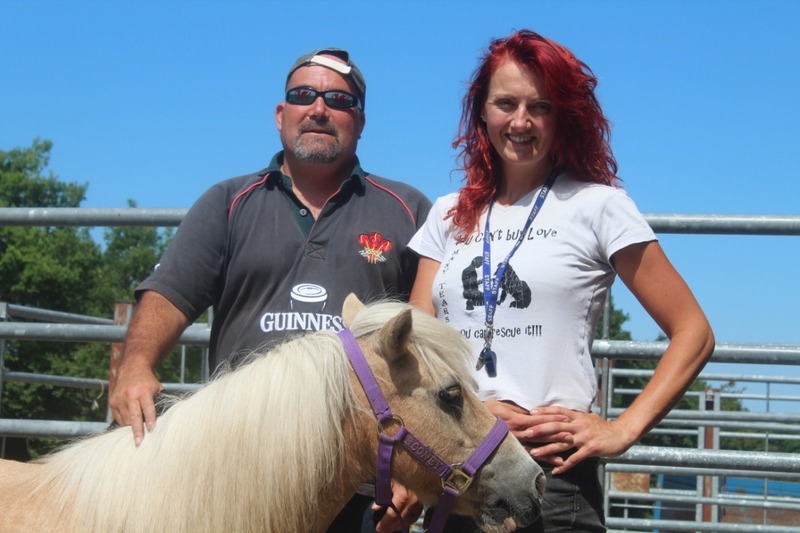 Lyn is determined to help the centre and enable Many Tears Equestrian to continue supporting people just like him. The centre works closely with the community offering lessons to those like Lyn living with a disability, also to children who my not have the opportunity to spend time with horses, with new horses owners needing support, with those living with mental health challenges or those simply needing to regain their confidence in life. We have 7 rescue horses and ponies on the yard, all carrying sad stories but now living happy and healthy lives. These horses bring joy, clarity and confidence to students and it is our goal to continue. Unfortunately living costs are high, unexpected vet bills have hit us hard and we need help. Please support Lyn with his challenge. Every penny raised will help us to continue the equine program with the added bonus of reminding Lyn just how fantastic he is. Our little team has grown by one!! Archie our blind rescue dog is coming along!! Rooney will help Lyn and Lyn will help Archie! Today we had our first training session with a big hill walk! Lots of laughter and fun considering that it's such a hot day. Lyn is very enthusiastic about the walk and is thrilled by the donations so far! THANK YOU! !